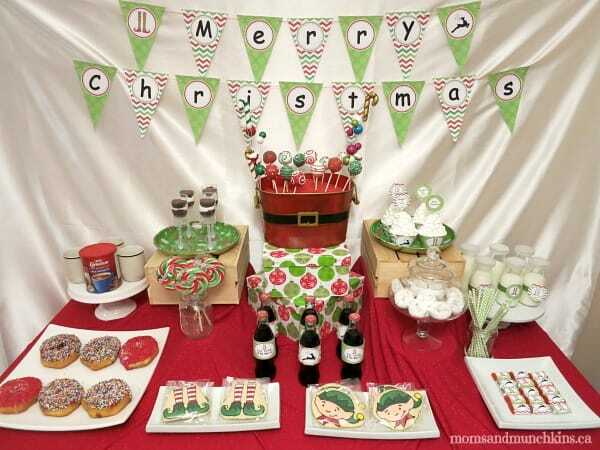 As soon as I saw the printable Santa’s Workshop set by Lillian Hope Designs, I knew I wanted to create a party with it! 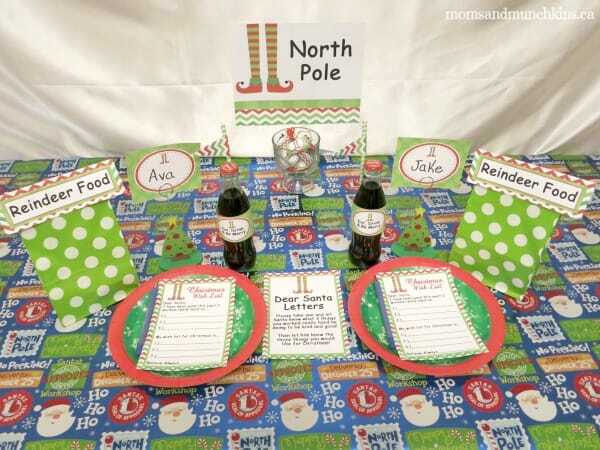 It is such an adorable theme for a Christmas party and there are so many fun activity ideas to go along with it! 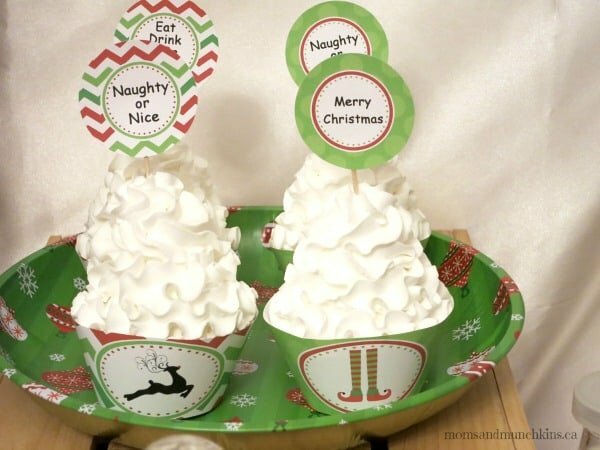 It this post I’ll share ideas with you on planning your own Elf Party and I’ll let you know where I found a lot of the supplies that I used in this party. So grab your timecard because it’s time to check into Santa’s Workshop! Invite Santa’s little helpers to a fun afternoon at the North Pole for some delicious treats, fun activities and lots of giggles. The printable party package includes an invitation that you can simply fill-in with the party details and pop into the mail. Remember that mail service is always a bit slower during the holiday season so you’ll want to pop those invitations into the mail a little early. Any sort of Christmas-themed decorations would fit well with this party. 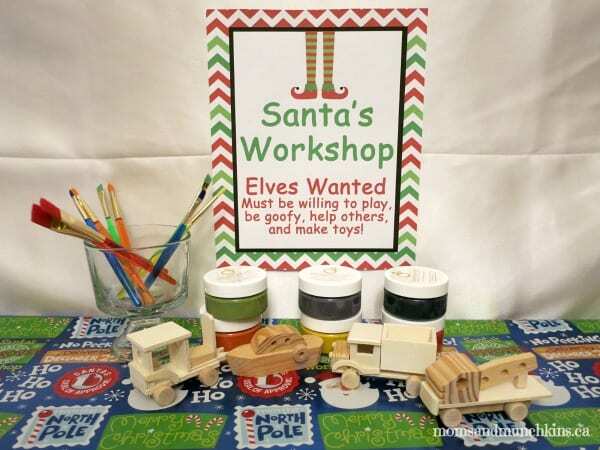 To stick in the “Santa’s Workshop” theme you can use small wooden toys, wrapped gift boxes as pedestals for desserts, a sign for the North Pole, wooden crates, and anything else that looks like you’d find it in a factory-style setting. 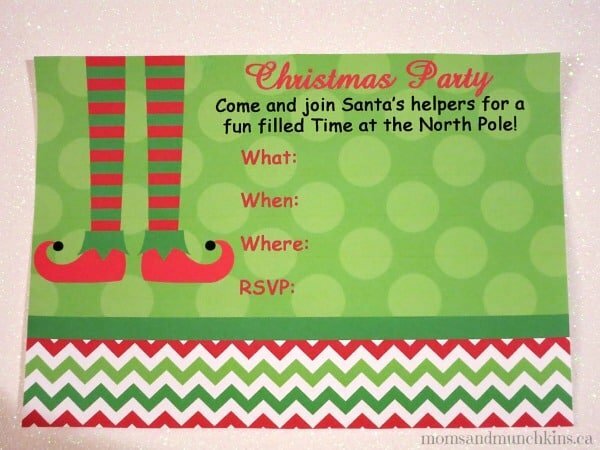 This printable party package includes many different signs like “Santa’s Workshop”, “Elves Wanted”, etc. that can be blown up into poster size for the walls or framed and placed on tables. 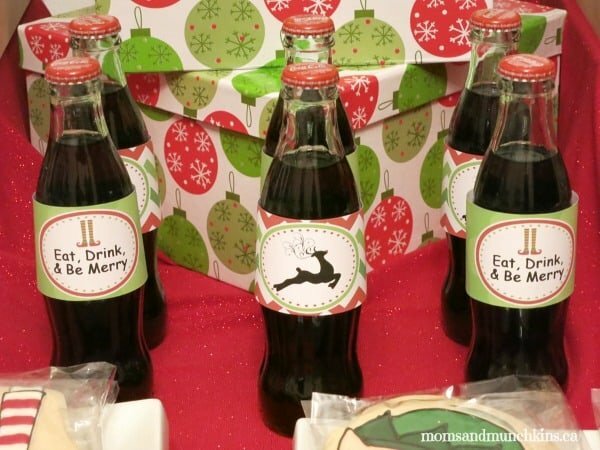 The printable circles can be used as drink labels with ribbon, on napkin holders, on lollipops, as cupcake toppers, etc. 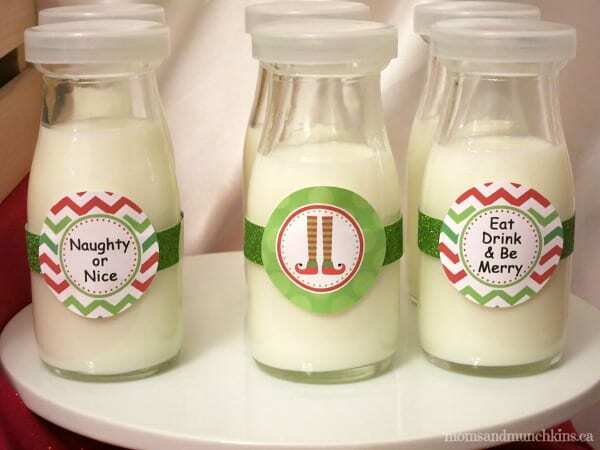 You can put your little elves to work creating special toys that they can later take home as a party favor. 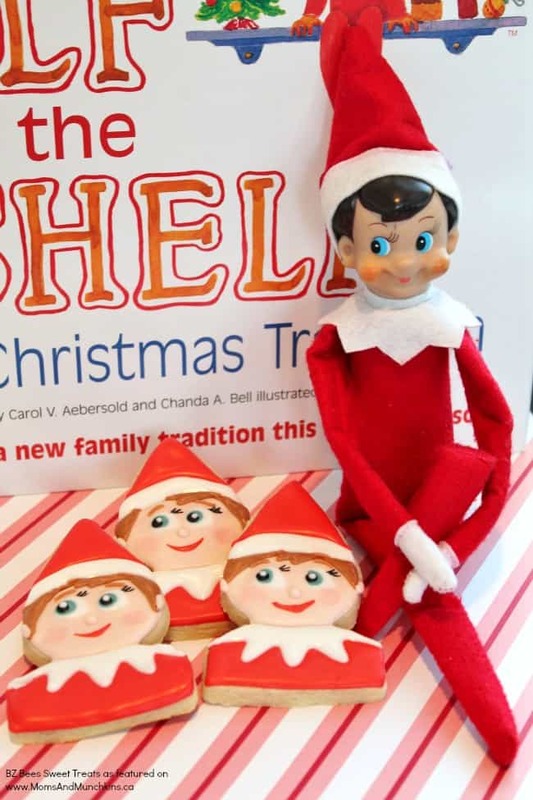 The little elves can be asked to paint small wooden toys, build small Christmas crafts or even make ornaments for a tree. 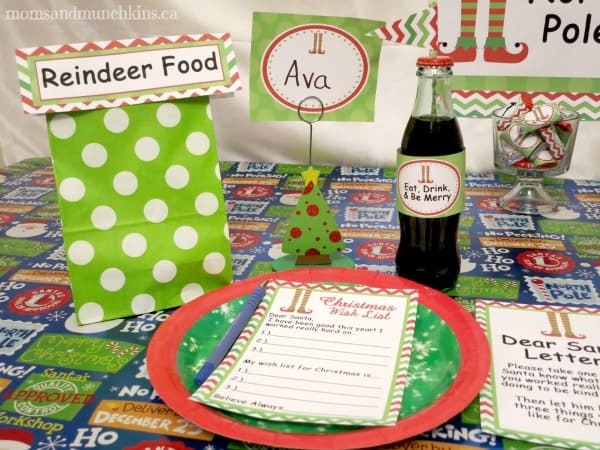 Each place setting can include a bag for “reindeer food” and the little elves can make their own mixture using oats and sprinkles. They can each take their bag of reindeer food home to sprinkle on their driveway on Christmas Eve. 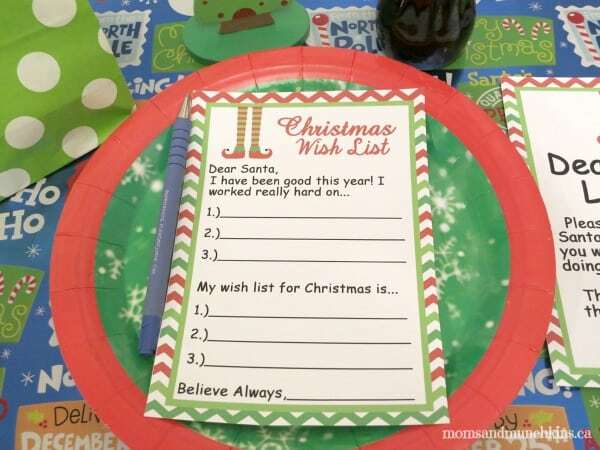 Each child can be given a printable “Christmas Wish List” to write a letter to Santa on. 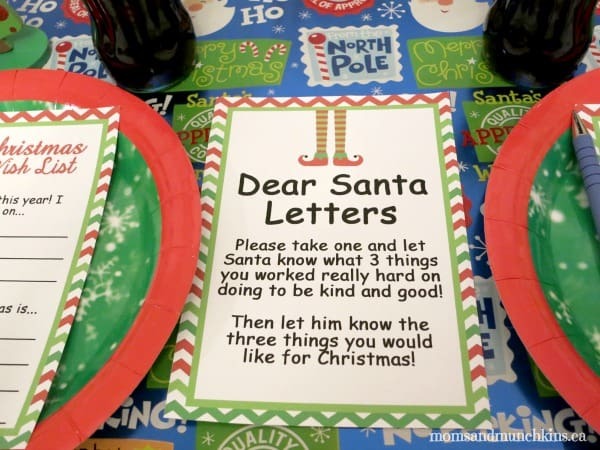 Provide each of the kids with an envelope addressed to Santa at the North Pole. You can mail these for the kids after the party or you could even have a decorative mailbox there for the kids to put their letters into. 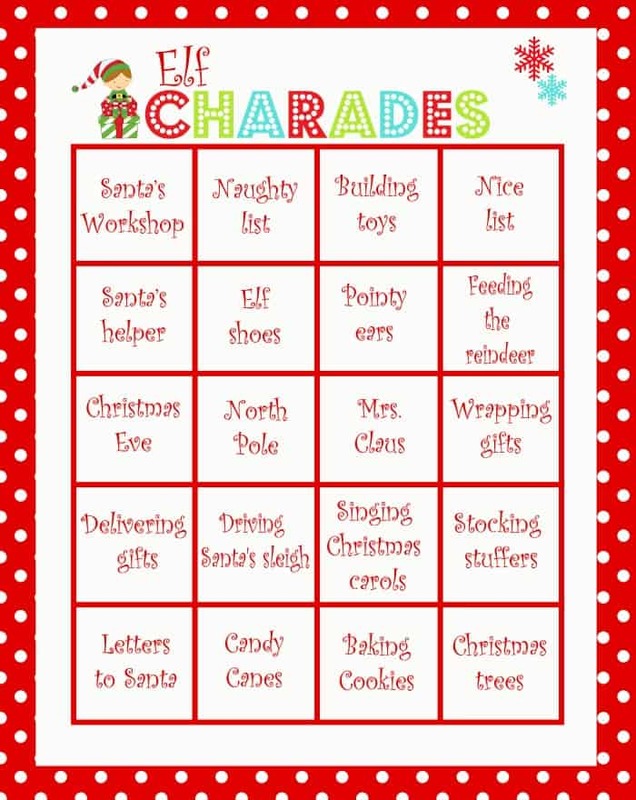 We also have a FREE printable Elf Charades game! What does every little workshop need? A variety of coffee break snacks and drinks! After all of the toy building activities, the little elves will need to fuel up with some delicious & sugary Christmas treats. Your little elves are too young for an energetic coffee drink but they can load up on hot chocolate. What’s one item you’ll find in any break room? Donuts of course! Elves like extra sprinkles. 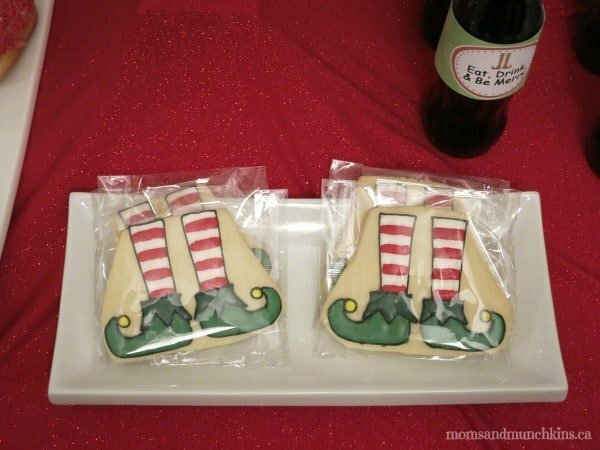 These elf cookies by Iced…Bake Shoppe are absolutely adorable and are perfect for this party theme. 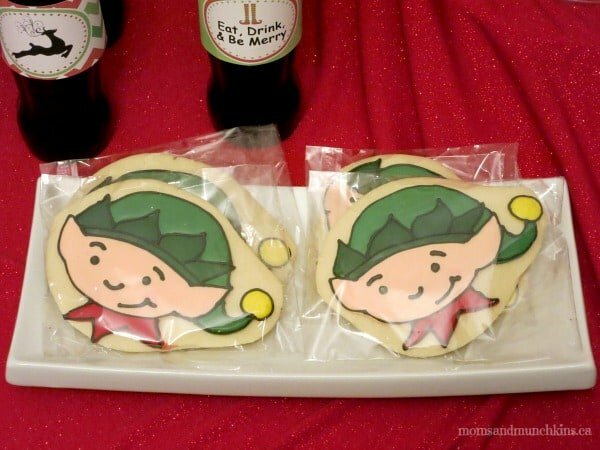 Here is a tutorial for making your own adorable Elf Cookies. 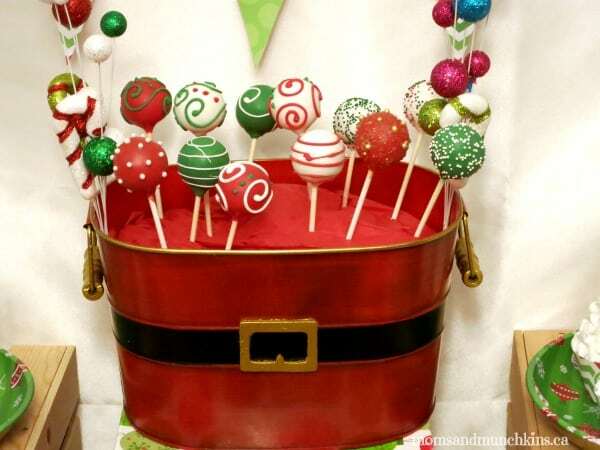 Christmas cake pops in a decorative tin make a delicious & unique centerpiece on the table. Printable cupcake toppers and wrappers can be used for a variety of cupcake flavors. I’ve heard that elves love extra icing. 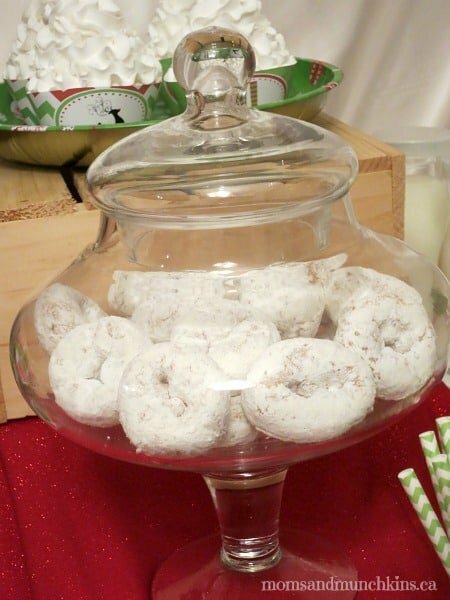 Mini powdered donuts in a decorative candy vase are perfect for little fingers. 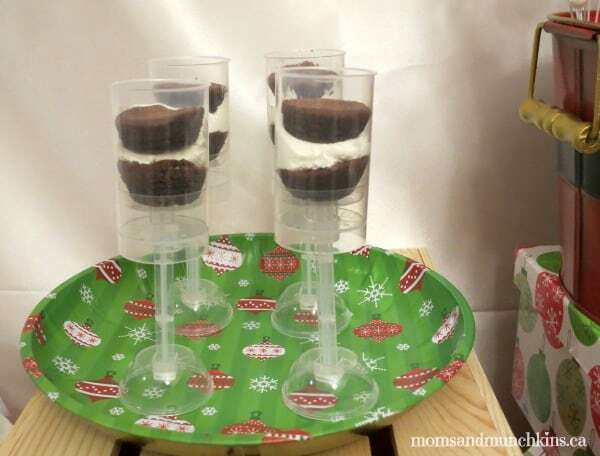 Mini brownies and a jar of icing can easily turn into cake push pops. 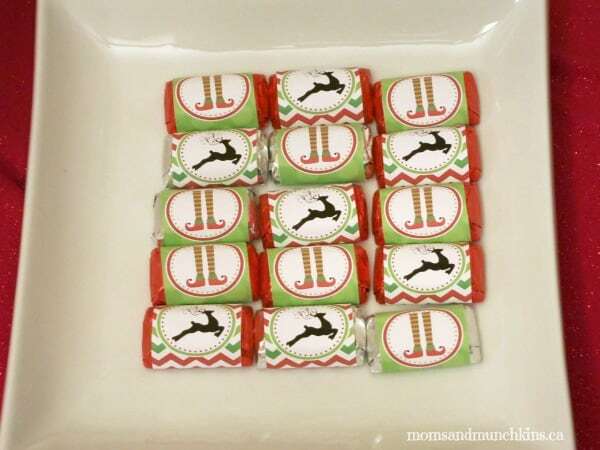 Mini chocolate bars and great for a quick treat in between making toys and writing the letters to Santa. 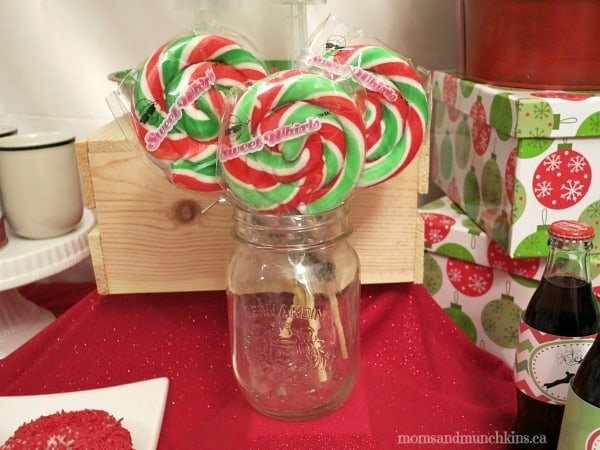 Lollipops can be dressed up with printable cupcake circles. After all those sweets, you’ll need something to wash down all that sugar. 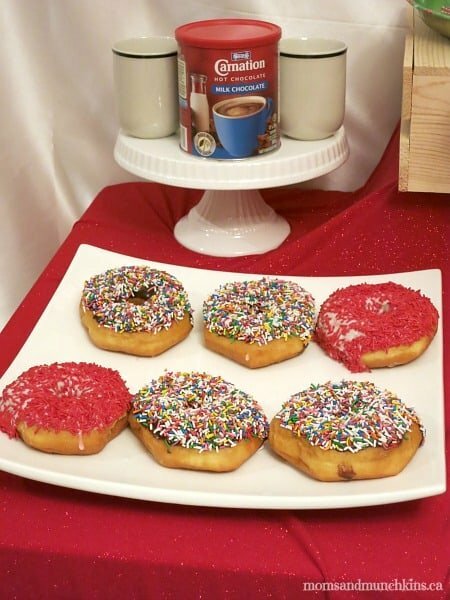 Milk goes great with donuts! Pop bottles can be wrapped in printable drink wrappers. For more fun ideas for the Christmas season, visit our Christmas Fun page. There you’ll find free printable games, party ideas and more! We’re always adding new ideas so follow along on Facebook, Twitter, Pinterest and Bloglovin’ for the latest updates. 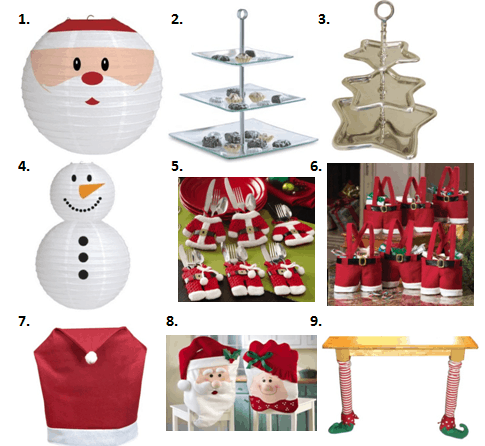 Here are some additional decorating ideas for the holiday season. This is absolutely adorable!!! I especially love the cake pop centerpiece! Stopping by from Hoyby Crafts courtesy of the Flamingo Toes link party. I posted the Ribbon Turkey Vase.